Sample wedding dresses are under $1000! Can you make a quick decision? Have you been waiting for a fantastic deal? Or maybe you are the last minute bride looking for off the rack wedding dresses? You should definitely check our wedding dresses for sample sale in Toronto. Buying a sample sale wedding dress can be a tremendous opportunity to score a designer wedding gown for less than its original retail price. Plus remember if you are a budget-savvy bride, you do not need to compromise on style and quality to keep your big day on a budget, because our sample sale is the place to find your dream wedding dress with a serious discount. 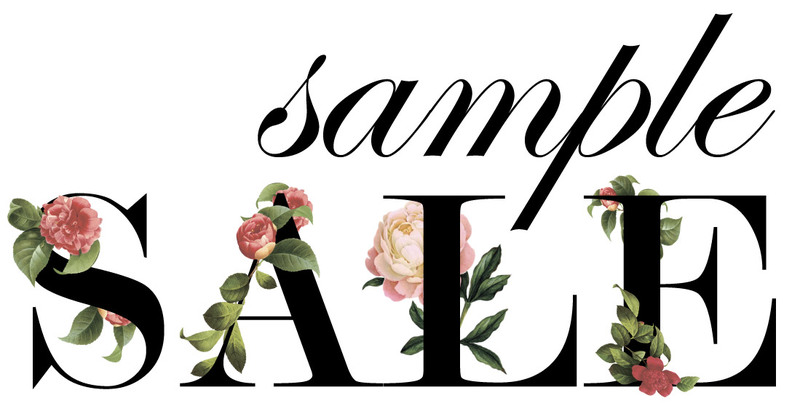 Starting this August, we will introduce sample sale all year around. Yes, sample sale wedding dresses every month! Wedding gowns will start as low as $500 before tax. Papilio only offers sample wedding dresses with the superior discount when a particular style goes out of production because there are not fabrics, materials or embellishments, and our Production cannot make it or provide any replacement. Keep in mind the collection of sample sale wedding dresses are limited by styles and sizes available. You might be lucky to find the one you will be wearing walking down the aisle with up to 80% off retail price. Although we will be continually updating our selection, some sample sale wedding dresses get sold quickly. If you have any questions or doubts before coming in to check our sample sale, do not hesitate to contact us at info@papilioboutique.ca or +1 (647) 748-1908. All sample sale dresses are in the excellent condition! Please note that all sample sale wedding dresses are not brand new gowns, they have been used as sample dresses for at least four months and are sold as is, with no exceptions. However, all wedding dresses on sale are gently worn as our bridal consultants usually help all clients to put them on to eliminate any tears. We work hard to maintain all samples in the excellent condition by regularly dry cleaning them and fixing minor damages. And please do not worry about the dust on your dress’s hem or train, most likely you will end up dry cleaning and altering your sample dress. Calling all brides-to-be in Toronto, our sample sale will start on August 14! If you are a bride in Toronto looking for a sample wedding dress, be the first one to check our collection of wedding dresses on sale. Do not be afraid to make a decision! You can also book an appointment to try on discounted wedding dresses available at our store in Toronto to make a right choice. Besides, we offer in-house alteration services that make buying a sample dress easier.